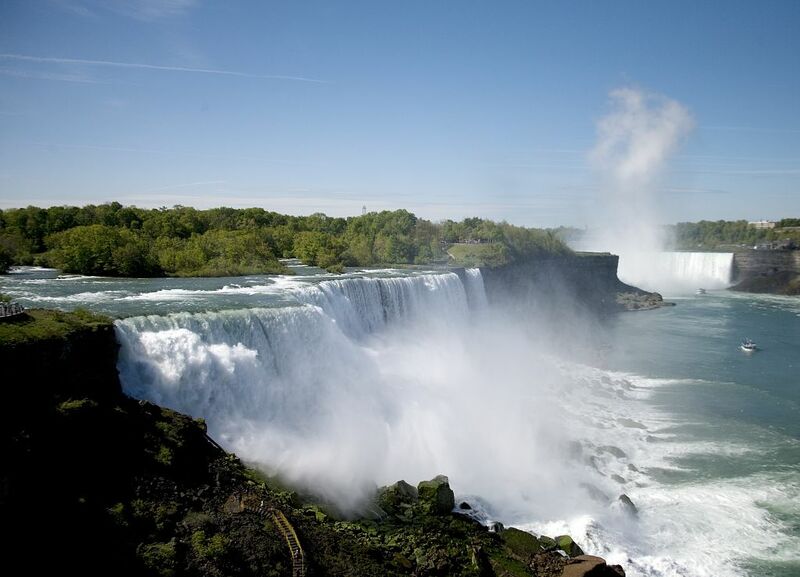 Niagara Falls are voluminous waterfalls on the Niagara River, straddling the international border between the Canadian province of Ontario and the U.S. state of New York. Niagara Falls were formed when glaciers receded at the end of the Wisconsin glaciation (the last ice age), and water from the newly-formed Great Lakes carved a path through the Niagara Escarpment en route to the Atlantic Ocean. In the early 1900s it became somewhat of a fad to try to go over Niagara Falls safely. Some people made it and some didn’t. This Greek chef made it over Niagara Falls in one piece on July 7, 1930, but he suffocated in the barrel. Upon impact, his barrel was stuck behind a curtain of water and could not be recovered for 18 hours. Niagara Falls, Ont. July 7—(AP)—The body of George Stathakis, Buffalo Creek Chef, who suffocated in a barrel in which he shot the Horseshoe Falls, was at an undertaker’s today awaiting claimants. In a sealed cask of oak reinforced with steel he took the plunge Saturday afternoon. He carried oxygen sufficient for three hours. The cask was removed some 16 hours later, a bit battered and leaky, Stathakis was still strapped to a mattress he designed as a buffer. An old turtle—Sacred, he called it—which he carried with him was alive. No injuries were apparent. Coroner W. W. Thompson expressed the belief that Stathakis had lived six hours. Stathakis, who called himself a philosopher and wrote a treatise on “the mysterious veil of humanity,” took along paper and pencil to record his sensations, but did no writing in the barrel. 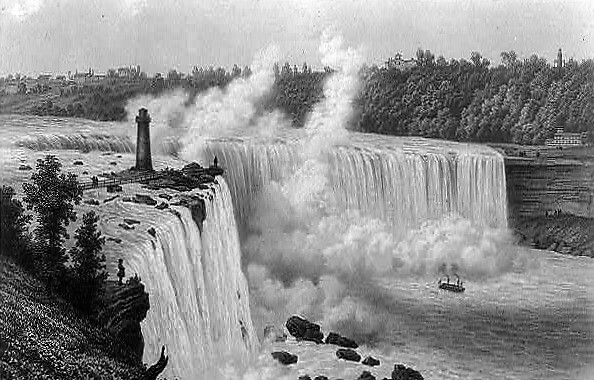 Niagara Falls, New York May 2006 by photographer Carol Highsmith (Library of Congress) The Niagara Falls are voluminous waterfalls on the Niagara River, straddling the international border between the Canadian province of Ontario and the U.S. state of New York. Niagara Falls were formed when glaciers receded at the end of the Wisconsin glaciation (the last ice age), and water from the newly-formed Great Lakes carved a path through the Niagara Escarpment en route to the Atlantic Ocean. Open: Saturday was once the best day of the week – Do you remember days like this? Carole Esther Gray Dawson was born and raised in Glens Falls, NY, a small city north of NY’s capital, Albany and located in the Adirondack mountains. She worked for the Navy Department in Washington, DC as a civilian where she met her husband Irv. They celebrated 55 years together. Open: Amazing photographs of families from 1900s who worked from home! Amazing photographs of families from 1900s who worked from home!